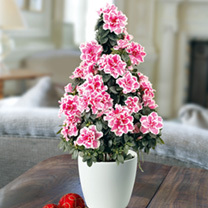 A beautiful azalea tree, which bears pink flowers with white picoteed edges. 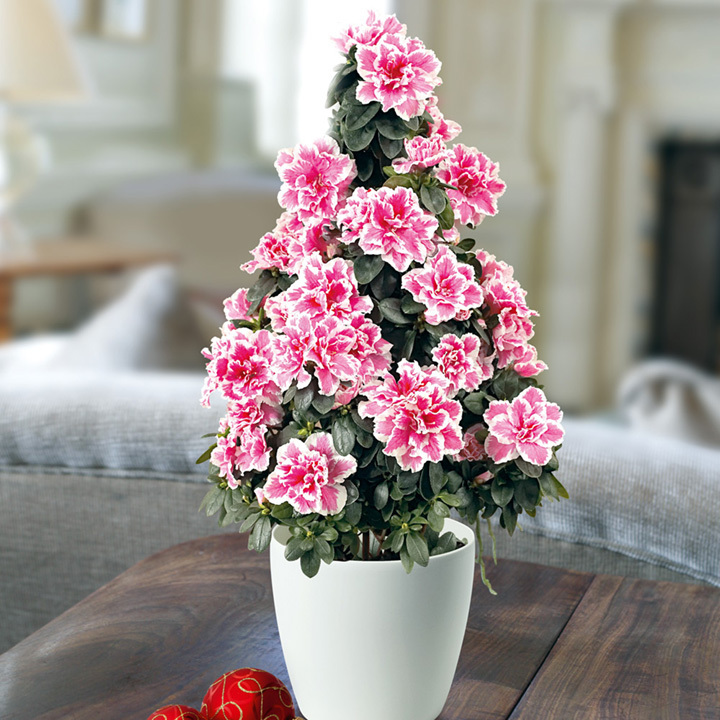 Ideal as a striking centrepiece to your dining room table or as a focal point in the corner of your conservatory . Pot size 17cm. Place in a warm position out of direct sunlight but in a well lit room. Until your plant flowers keep the compost watered. Once flowers appear reduce the watering but do not allow compost to dry out. Re-pot once flowered. Feed with good houseplant fertiliser once every 4 weeks.